From the television straight to your child's wall, delight Disney The Lion Guard fans of all ages in a way like no other with these peel and stick Disney The Lion Guard Wall Decals! 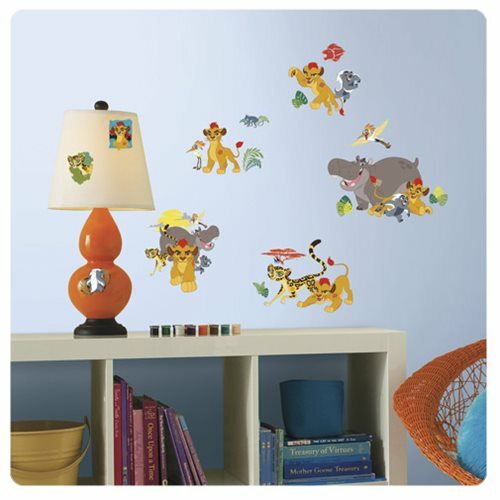 This The Disney Lion Guard Wall Decal set includes all of your child's favorite characters. Fast, fun, and affordable, each Disney The Lion Guard wall decal set comes with a 30 elements - enough to cover an entire room! Printed on high quality vinyl, the installation process is a cinch - just peel and stick! Each wall sticker is removable and repositionable making them 100% safe for walls! Decals range in size from 10-inches tall x 9-inches wide to 2-inches tall x 1 3/4-inches wide.